Alcohol is an effective social lubricant, but Somerville’s newest liquor store aims to facilitate friendships before any drinks are poured. Proof, a package store in the Winter Hill neighborhood, opens Tuesday, Dec. 11, with a large selection of beer, wine, and spirits; and it has plans in the works for events like tastings, art shows, wine dinners, and more. “I’m thrilled to be establishing a community-focused shop in Somerville’s Winter Hill. 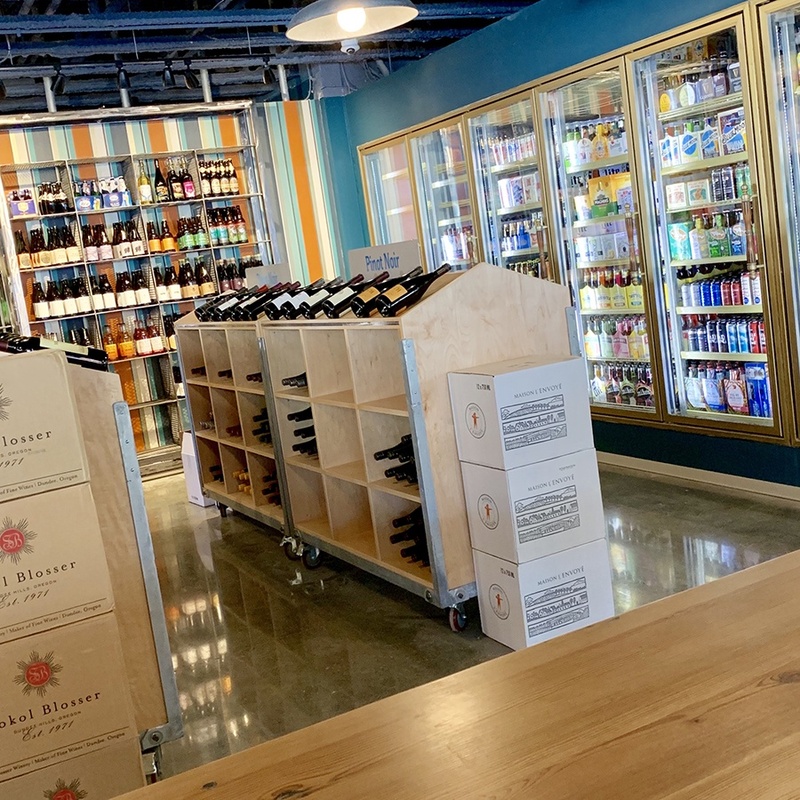 Not only will we sell beer, wine and liquor, Proof will serve as a gathering spot,” says general manager Jay Cahill, who joins the new venture after running a family-owned chain of bottle shops in the Chelmsford area for the past 20 years. Proof will host booze education and tasting events, but it will also offer programming not centered on alcohol. A calendar is still in the works, but expect classes on subjects like cigar rolling and cupcake decorating, says a rep for the company. The Main Street storefront has a full kitchen, so Proof will be able to bring in chefs for wine dinners and cooking demos, and also rent the space out for private events. Studioful Design, Eastern Woodworks, and Witch City Customs built out the space to make it inviting and comfortable, with pedestal shelves to highlight featured bottles, and seating areas including a large, central, communal table made of reclaimed wood. Proof is on social media, and has been sharing sneak peeks into the coolers and shelves ahead of the opening. Follow the startup for news about events programming. Beginning Tuesday, Dec. 11, Proof is open daily from 10 a.m.-10 p.m.
10 Main St., Somerville, 617-764-0781, proofsomerville.com.